Falling in love and meeting that perfect someone is a dream come true. After deciding to spend the rest of your days together, you eventually tie the knot. Many decisions go into the big day to make it perfect. 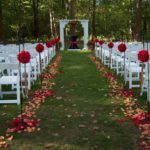 While 78 percent of weddings occur from May to October, winter weddings are a wonderful option as well. The outdoor decor provides a blank canvas that can help with the elegant feel, and the cold can make for a cozy indoor setting. The design and decor can take on many feels or a theme can be used such as Valentine’s Day. Create a day that is personal to you and add some fun for guests to remember. Turn it up a notch by using some wedding sparklers and see all the fun you can add. Make the day one to remember. The later months are known for their frigid temperatures, but also for their beauty. A fresh snow blanketing the ground is elegant and simple. Another plus to the colder months is that the snow adds brightness to any outdoor venue. The “bareness” that comes with the colder months creates a blank canvas for different types of decoration. With all weddings, the dress is the focal point. The bride to be gets to be the center of attention and the dress she chooses sets the tone for the wedding. Winters snow introduces the bride to additional options other than bright white. Choosing to add some light color to the dress (i.e coral, blue, blush) can help her stand out. Bringing color creates elegance and can amplify the romance of the day. All weddings usually have two or three main colors to create a palette for the event. Other couples choose to have a theme that sets up the tone and colors for the event naturally. Little details like decorations, such as wedding sparklers on the send off can add pure elegance and beauty. Valentines Day remains one of the most popular wedding themes as up to 16 million people chose to get married on this day. Christmas is a close second, an it is one of the top days for engagements. Keep the romance alive by adding a fun theme to make the day complete. Giving your guests something special to remember your special day by is important. Commonly, candy and refreshments are usually offered. Guests take a part of the weddings magic with them as they leave. Dry out some of the flowers that were used on the big day and attach them to a thank you card. Provide warmth on a cold day by offering engraved mugs to fill coffee with and encourage guests to take them home to remember the magic of the day. If the venue is outside, offer small blankets that not only provide warmth, but are packaged neatly so they will serve as a favor for guests. Have a send off with fun sparklers (can be purchased at the wedding sparklers outlet) to create a fun experience for guests to remember. Still need convincing? How about: lower rates–and you also won’t be a hot mess when humidity can wreck your hair? 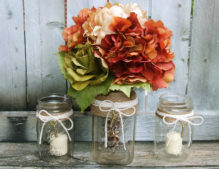 Oh, and it’ll always be indoors when it’s a winter wedding so you won’t have to fret about possible rain and wind! Previous PostWhy Hiring Sound Systems for an Event Make Sense?